Dreamhaven is a gaming park and event venue. Built around the concept of a fantasy village, it will appeal to assorted gaming groups, tournaments and events. The park will be equipped to host corporate retreats, fairytale weddings, large-scale gaming tournaments, festivals and more! Some of the main features of Dreamhaven will include a public market and artists alley where local farmers, crafts people and artists can sell their wares from daily stalls. The castle and great hall shall be designed to facilitate seasonal feasts, wedding receptions, dinner banquets, table-top tournaments, corporate meetings and more! Stay overnight in either the Inn, Yurt Village or pitch your own tent and camp out. Bring your LARP group, Guild, Barony and run your game or event in our themed setting. Need a quest for your players? Don your wand and gear up for a MagicQuest! Venture around the park in a virtual quest, build your power, and become the best wizard, fairy, or human, alive. 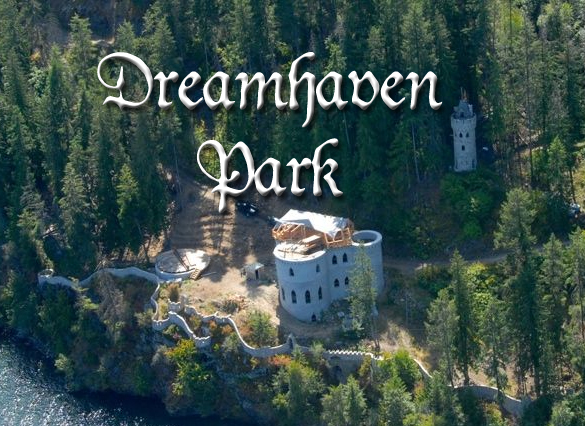 Dreamhaven is slated to open in 2018 – 2019. Please take a look around our website, follow our progress and get involved!